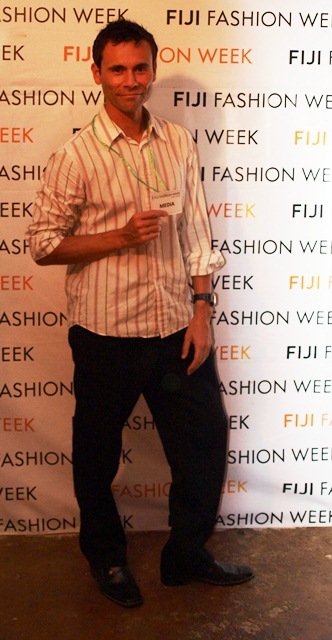 Over the next few weeks I’ll be publishing a series on my experiences at Fiji Fashion Week 2011, held in Suva, Fiji Islands. During this series I invite you to come with me behind-the-scenes and discover a country that’s taking some big strides into the world of fashion design. 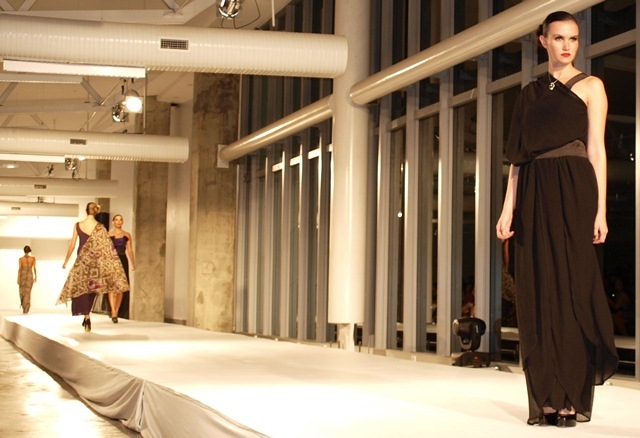 In part 1 of this series we’ll be front and centre at FJFW’s Established Designer show. For many, the Fiji Islands are synonymous with tropical beach vacations, cocktails, scuba diving and coconut trees. 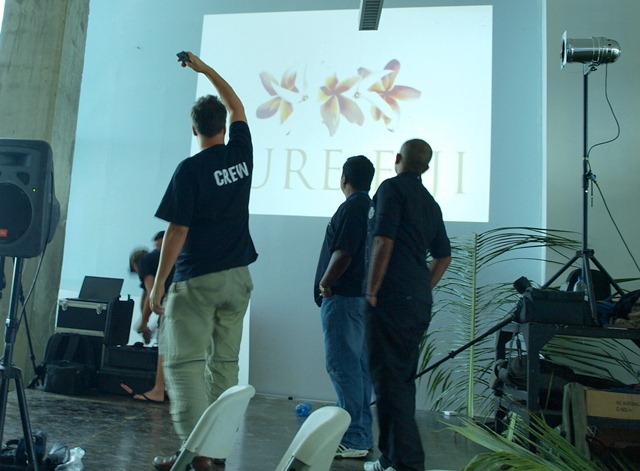 While Fiji does indeed boast all of the above it’s important to remember that, as a developing country, creative young (or old!) 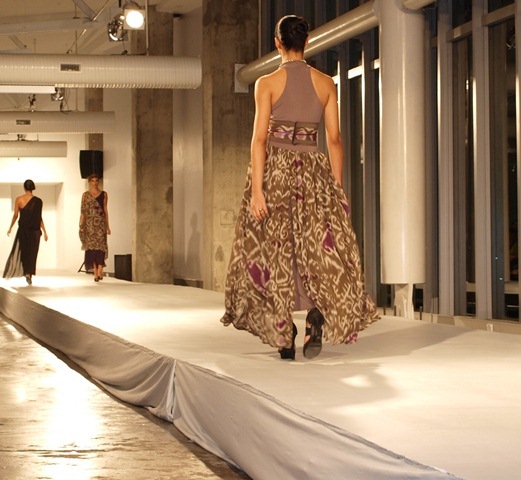 people can struggle to grow in certain industries such as fashion and design. 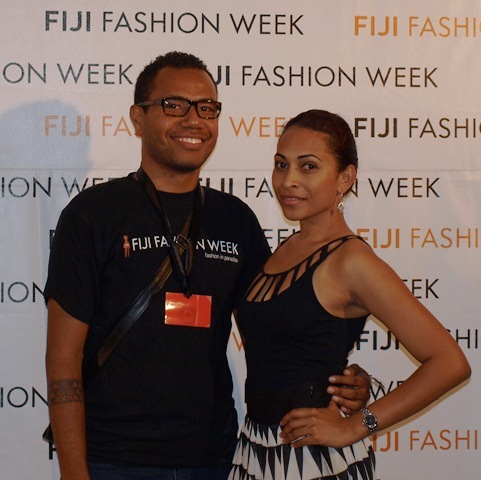 In 2008 Fiji Fashion Week was created in response to this need, with the primary objective of creating a world class fashion week event which helps nurture, develop and promote individual stakeholders in Fiji’s fashion industry. 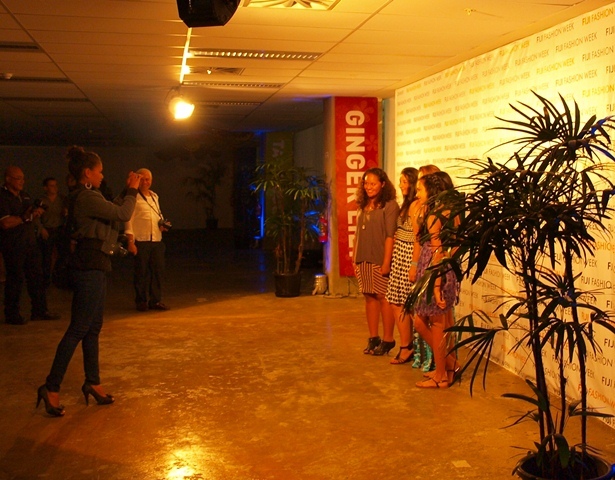 I was very privileged to be invited to attend this year’s shows as the official (and I believe only) blogger. 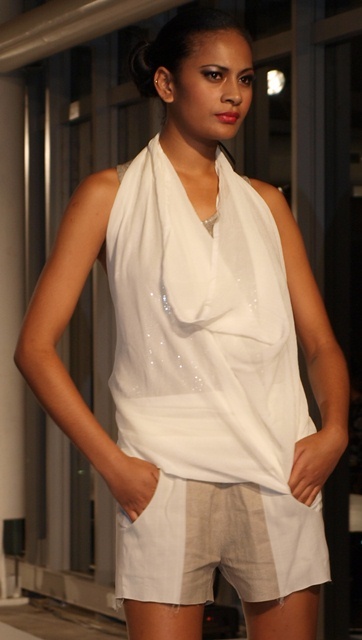 My aim is to showcase these budding designers to an international audience for 2 main reasons. One reason is that designers within a developing country are presented with unique obstacles when it comes to skill development, access to resources and promotion of their designs. 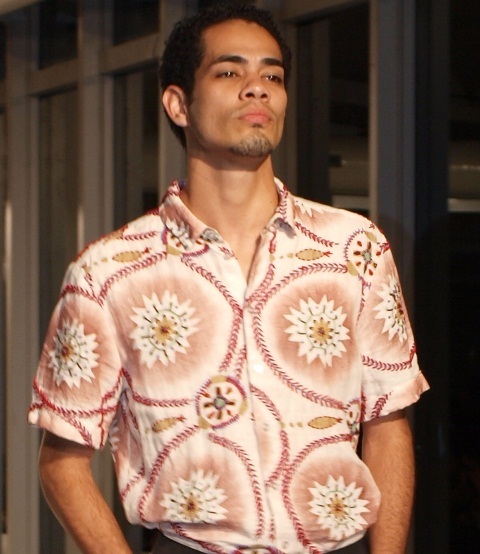 On the other hand, being somewhat cut-off from ‘mainstream’ fashion can also mean that Fijian designers have a fresh perspective and aesthetic (paired with a unique cultural mix), which could add new life to the international market. 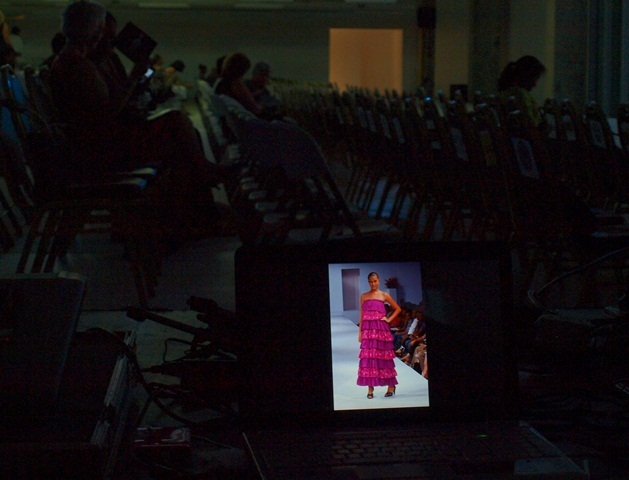 My second reason for taking a keen interest in promoting FJFW to the world, is that I believe the fashion industry as a whole here is at a critical juncture – still fledgling but about to take off. 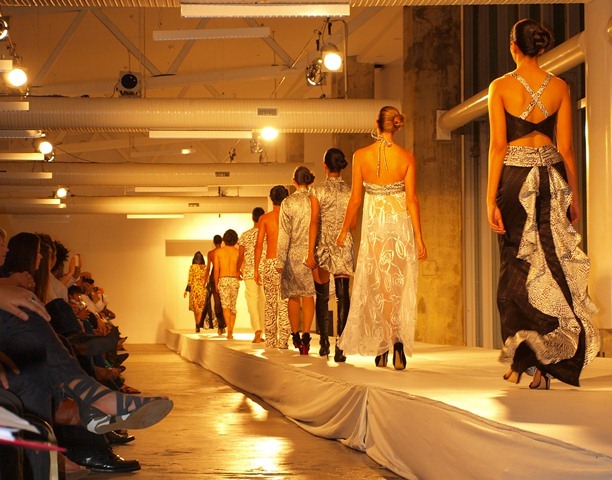 How wonderful would it be for the fashion industry of an entire nation to incorporate environmental, social and animal welfare ethics into every part of the supply chain? What an exciting opportunity! While local design is taking its first steps, it’s important to note that some of the world’s most recognised labels are manufactured in Fiji e.g. Rip Curl, Just Jeans, Kookai, Country Road and many many more. 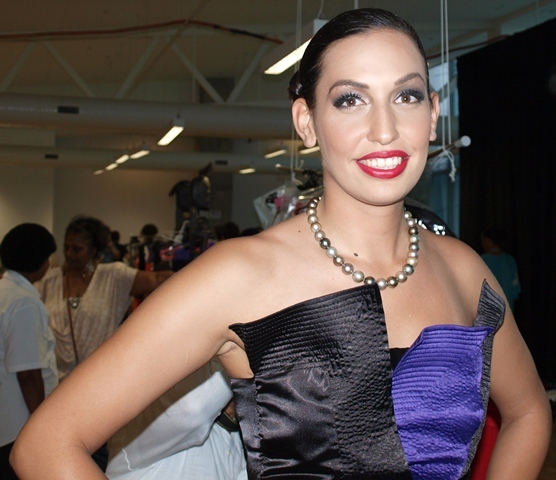 Fiji now has the opportunity to export it’s own locally designed brands. The guests start to arrive! Okay enough background, let’s get on with the show! 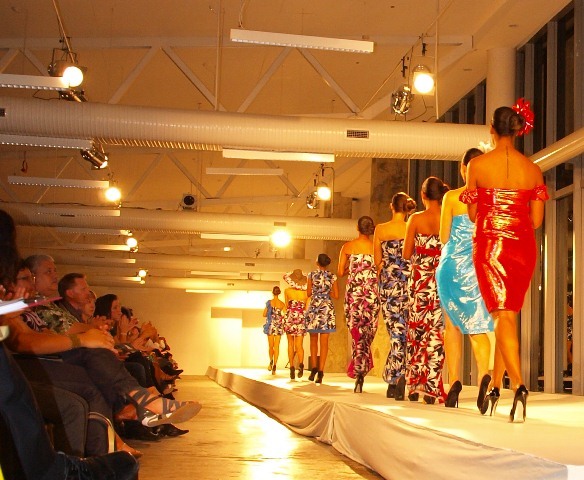 I have to say that while not everything that was sent down the catwalk appealed to my own personal taste, it was never boring – as designers played with fabrics, patterns and cuts. 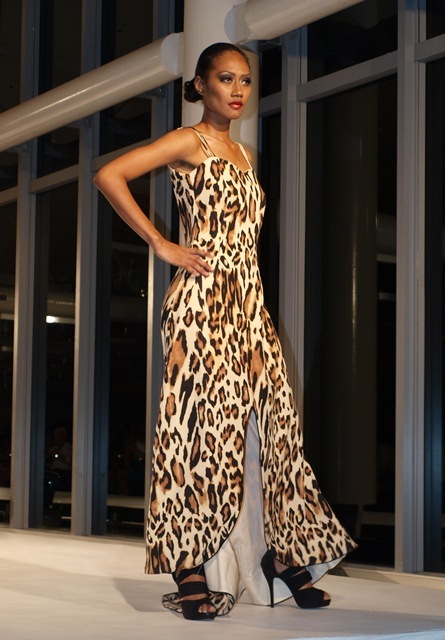 There were many stunning pieces mixed in with a few experimental items. 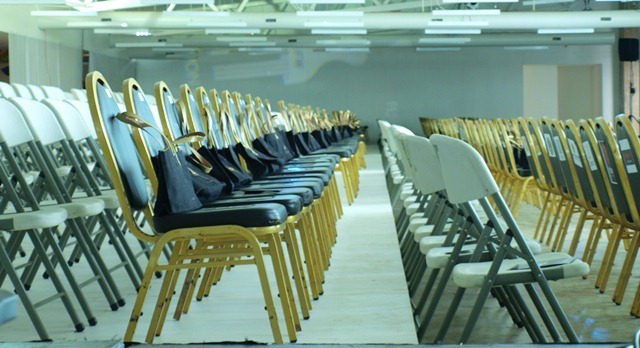 For me though, that’s what makes a great show – designers willing to take risks! In a nutshell: whites; ethereal; roses; traditional Fijian tapa meets Japanese geisha; sleeves; rope belts and necklines; flow and swish; severe hair. 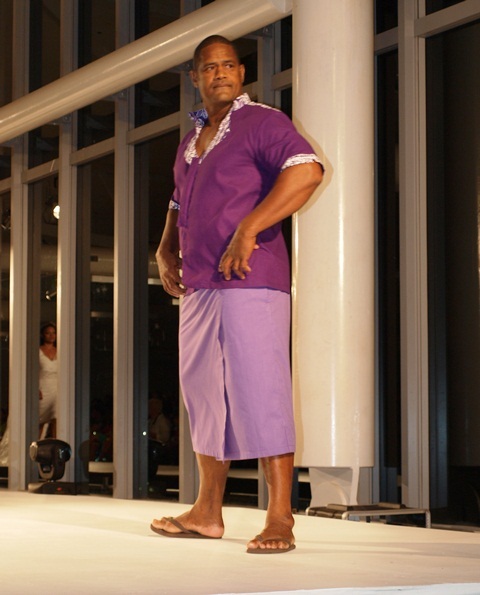 In a nutshell: street-chic meets Indian formal; purple for men; white bling for girls; sunglasses; shiny material; rosettes; over-sized one shoulder tops; and optical illusion pantsuits. Optical illusion pants – to hypnotise passersby? In a nutshell: animal prints; long coats with hoods; metallics; bikinis; board-shorts; sunglasses; bubble skirts; kaftans; and pleats. I think this purple skirt is very cute! Nice shoe choice for this dress. Next step is to have only vegan leather used at FJFW! In a nutshell: frills; chic use of textures; brilliant use of colours; hats; very short dresses; floral print; shiny fabric ‘gift wrapping’ dresses; and ‘lily pond’ dresses. 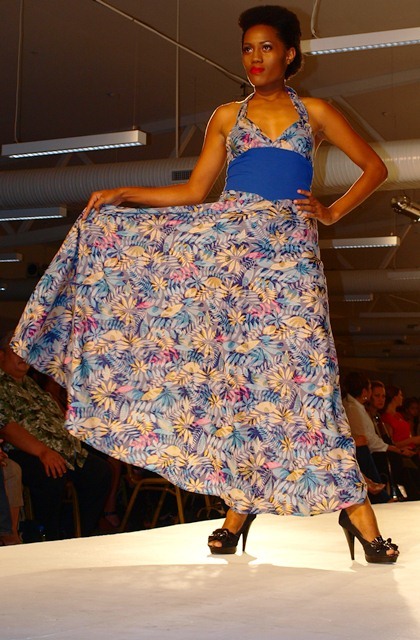 In a nutshell: island-style; flowing whites; sophisticated resort-wear; nautilus motif; tights; marine-inspired prints; sundresses; maxi-dresses; over-sized kaftans; tailored pants; bare feet; colourful accessories; over-sized sleeves. Loved the drama and storytelling of this opening look! In a nutshell: fitted styles; LBDs; black strappy shoes; classic silhouettes; big patterned dresses; super cute shorts; lollipop colours; cut-outs; big earrings; flamenco influence; and bold use of colour blocking. I am head over heels for this dress! 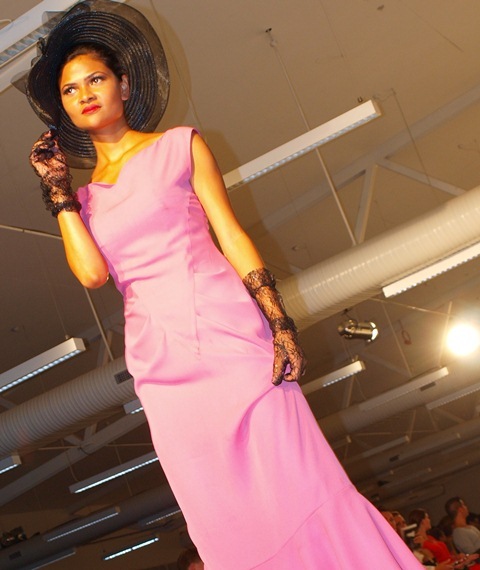 In a nutshell: hot pinks; patterned dresses; maxis with thick waist bands; pumpkin oranges and whites; bubble dress; frills; longer skirts; animal print; polkadots; bikinis and hoodies; metallics; and lace gloves. A Fijian take on I Dream of Jeannie? 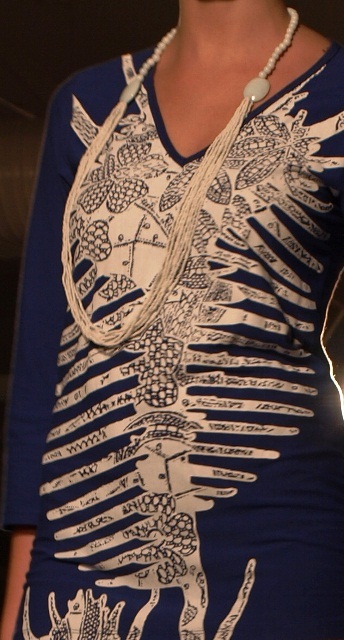 I would definitely wear this cute dress! 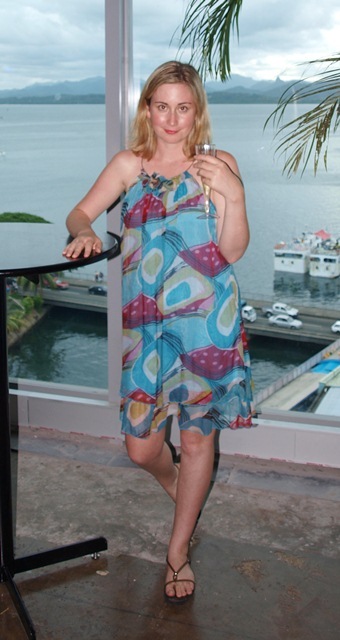 This dress on the other hand is very chic indeed! In a nutshell: trench coats; frayed shorts; greys; ruffles; texture; over-sized dresses; colour blocking; nudes and neutrals paired with shimmer; 70s pattern tops and mid-length shorts for men; gorgeous sheer fabrics; and orange belts. 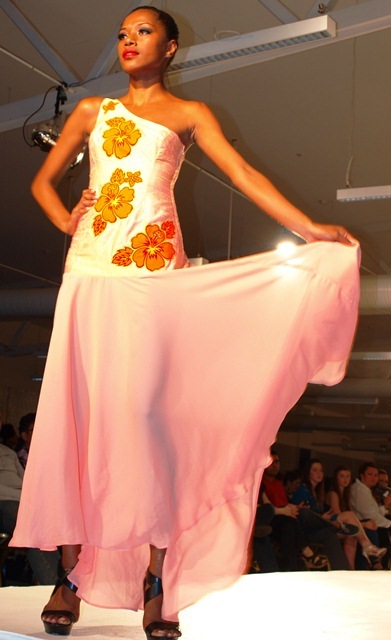 In a nutshell: canary yellow; high leg slits; sheer patterned fabrics over block colours; and ruffles. In a nutshell: patterned asymmetric dresses; horizontal stripes; super cute short black and white kaftan dresses; quirky lily-pad design; metalics; Arabian Nights; and short bubble dress. 80s Barbie outfit take 2? 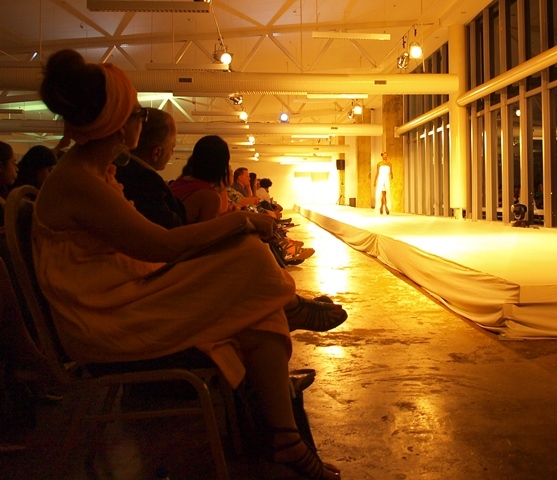 Stay tuned for more FJFW11 goodness including – designer profiles, exclusive pics and video!